“Hailed by Purists. Loved by Rockers. 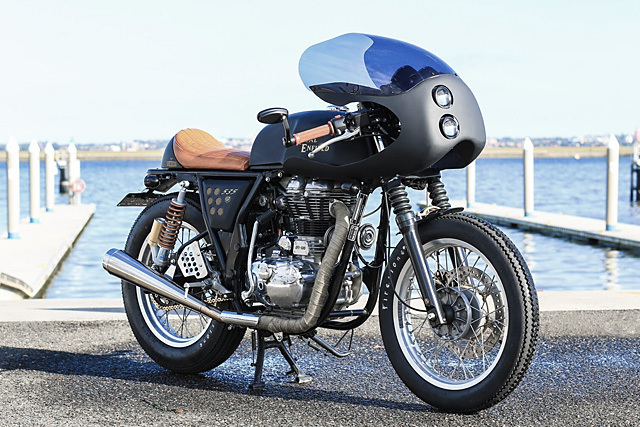 The most fun you’ll ever have on a motorcycle,” gushed the press release when Royal Enfield debuted their new Continental GT in 2013. Motorcycle journalists lauded its lighter flywheel, its tighter Harris-designed frame, Brembo brakes and Paioli shocks. But I was left completely unmoved by the ‘café racer in a box’ style aesthetics. For me, the styling was a little too lairy, a little too cheap-looking and a little too easy to really warrant the praise. And since its release, I haven’t really given the bike any thought. That was until I saw this gorgeous custom dubbed ‘Dirty Girl’, built by the dedicated team at Rewind MC from Wollongong, Australia. 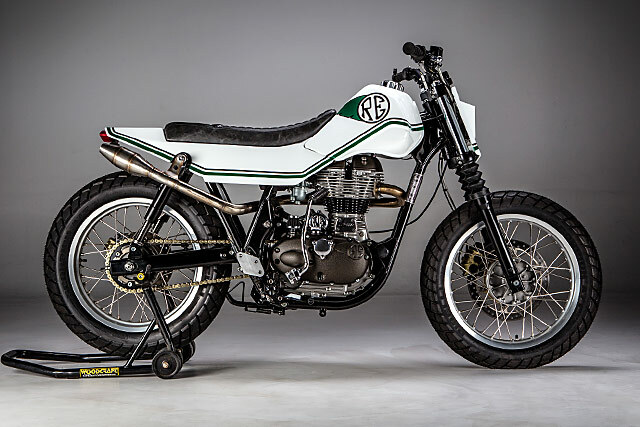 With a perfect mix of matte paint, ¾ fairing and brown leather, to my eye this bike has got me as excited about the Continental GT as the Deus Grievous Angel did with the Yamaha SR400. I think it’s just about perfect.